The tower is modeled after the Eiffel Tower but is 9 meters taller and much lighter because of improved construction materials and a stronger design. 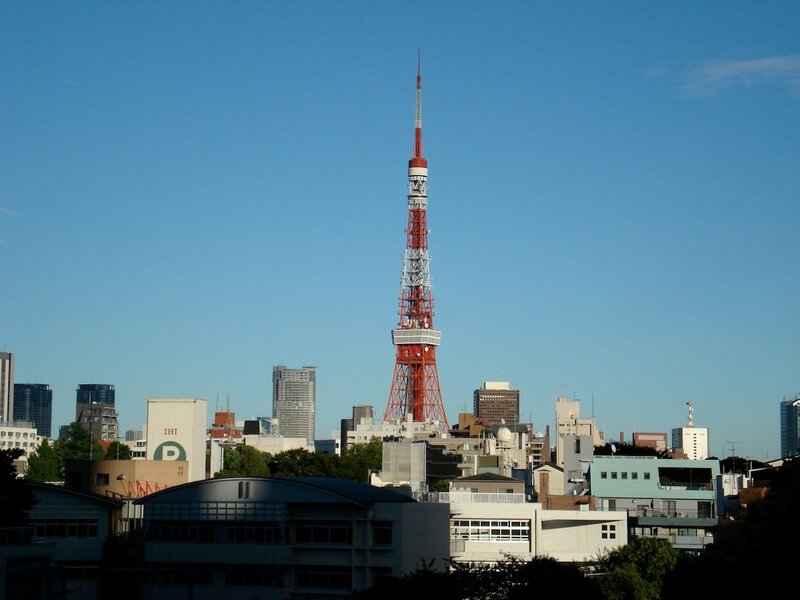 It was Japan's tallest structure for more than 50 years. It is painted in international orange to satisfy air safety regulations. It reportedly took 28,000 liters to paint the structure. 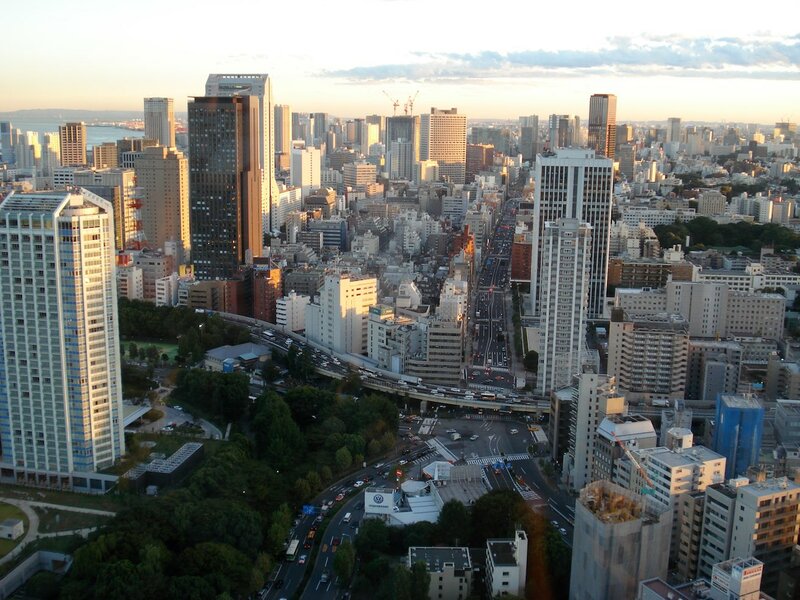 In the early years, it was highly popular with tourists and became a symbol of Tokyo. 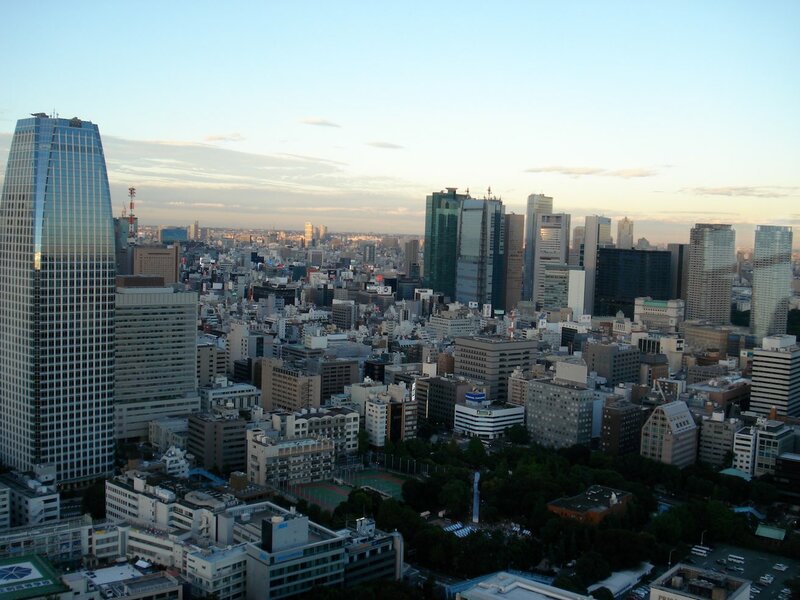 The tower can be easily seen from many points in Tokyo because the surrounding area is filled with mostly low-rise buildings. Still, Tokyo hasn't stopped growing upwards since the tower's completion. It gradually became just one of many tall buildings and it lost its appeal with tourists and broadcasters alike. 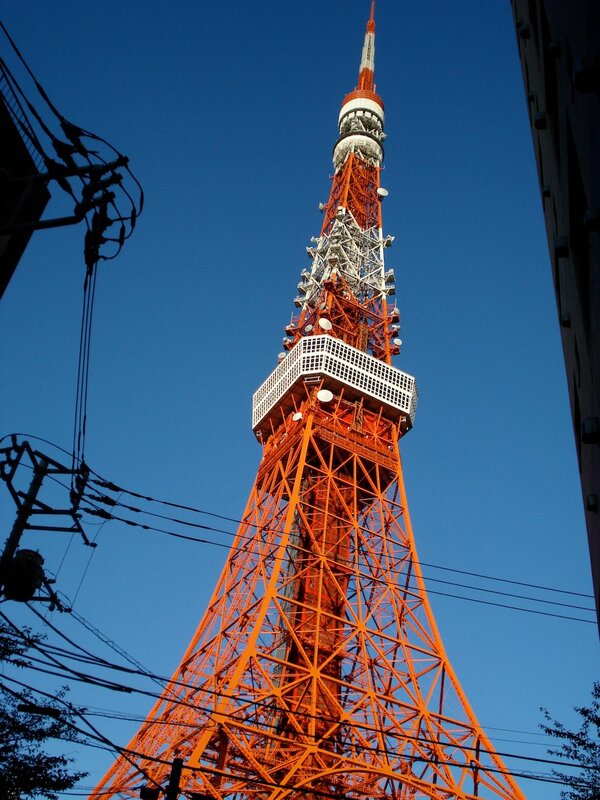 The 2011 deadline to switch the digital TV broadcasts presented a problem for NHK and other broadcasters who used Tokyo Tower. It was just not high enough for those new digital signals. Thus, the completion of Tokyo Skytree (634.0 m) in 2012 near Asakusa basically ended TV broadcasts from the tower. 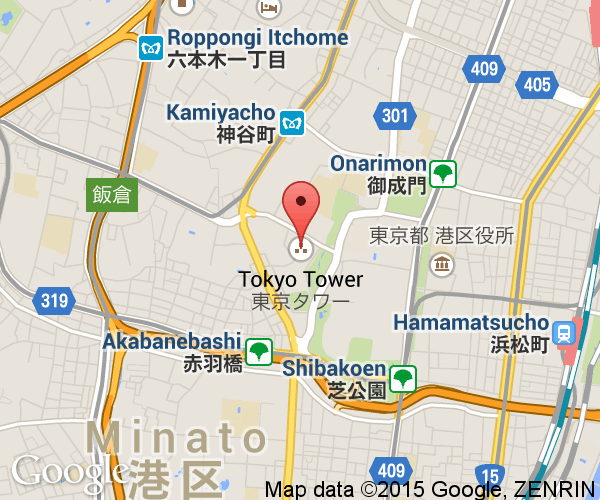 Tokyo Tower is has three levels: foot, main observation deck and special observation deck. 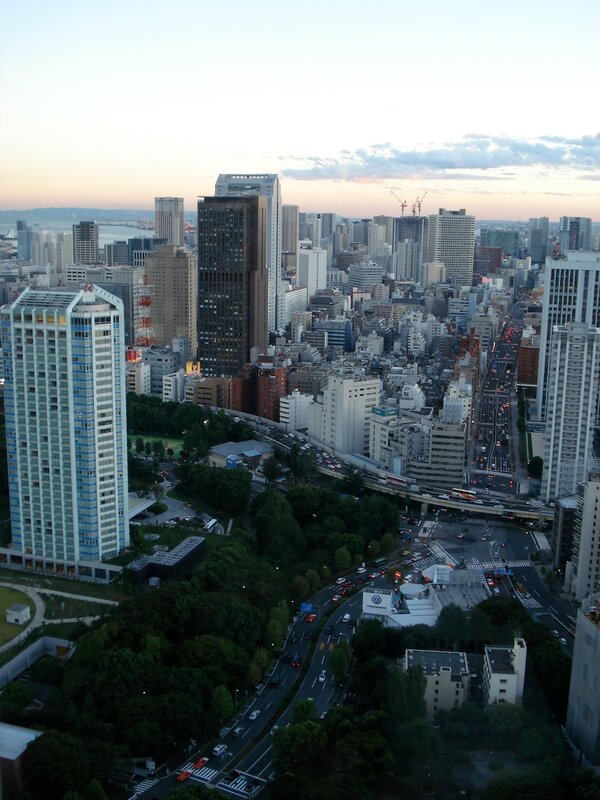 The observation decks are at 150 meters and 250 meters, respectively. There is a cafe on the lower main observation deck. 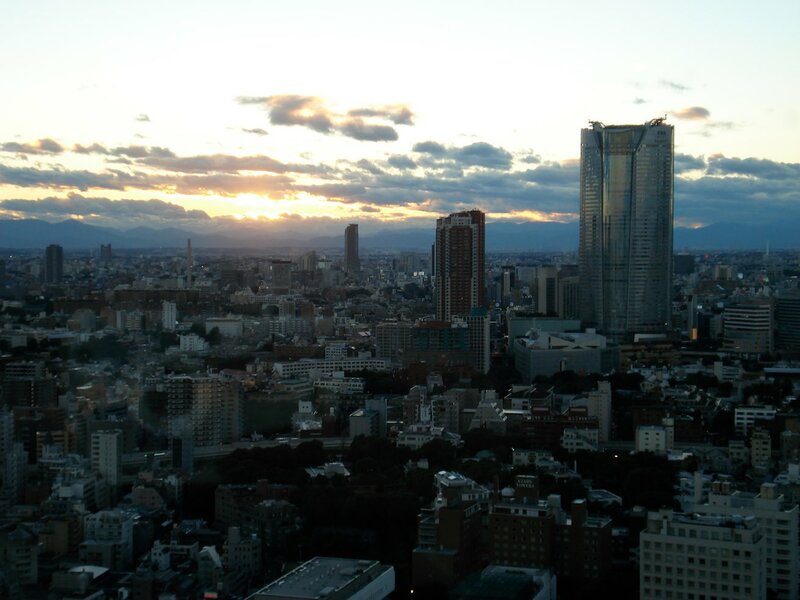 Mt Fuji can be seen on a clear day (every tall building in Tokyo claims this) from both observation levels. On good weather days, it is possible to climb up. Tickets are still required for climbers. The "Foot Town" contains other attractions and gift shops. Once you view from the observation floors the elevator will drop you off on the 4th floor. 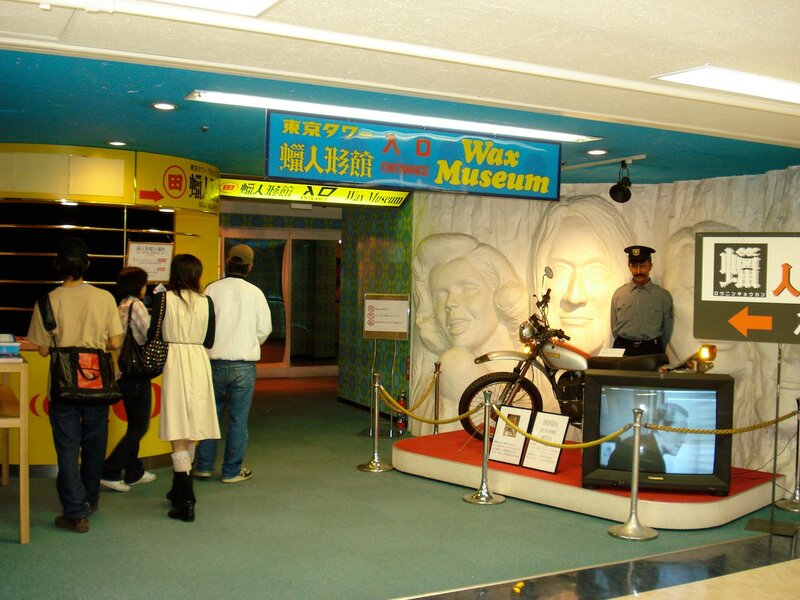 There is an aquarium, wax museum, hologram gallery and trick art gallery. All of these require an additional entrance fee. On the 4th floor, there is an interesting free statistics plaza. Looking at timelines of Japan's economic and social development is a little dry but it fits with the general theme of celebrating Japan's economic miracle. On the 2nd floor (and partly on the 1rst) are the gift shops and more restaurants. 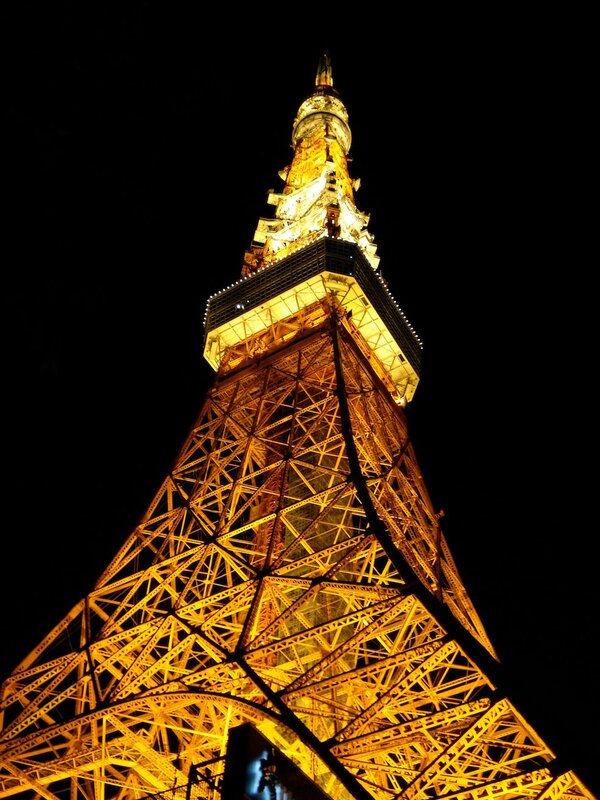 The company that owns Tokyo Tower is infamous for having mortgaged Tokyo's most recognizable building for 10 billion yen in 2000. The unlikely scenario of it being sold for scrap by angry creditors isn't going to occur anytime soon but it helps explain the ticket prices. The company's balance sheet bled red (and may have whimpered a little) after they built an unprofitable golf course on pricey land right before the economic bubble burst. There's just no denying that Tokyo Skytree has surpassed Tokyo Tower as the best place to peer out at the cityscape. 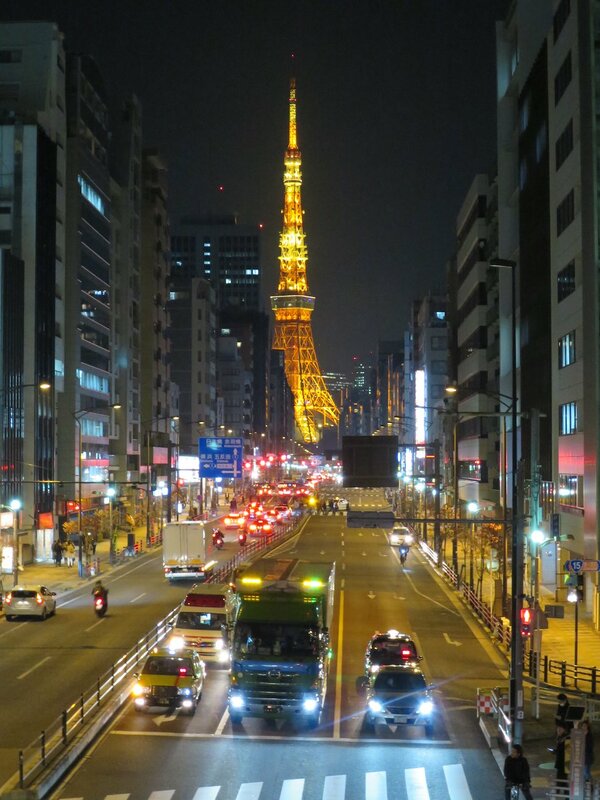 Tokyo Tower is still a icon of the city and worth visiting. It has one of the best overall views of the city. Practically every large building and famous area of Tokyo can easily seen except for a few places in JR Tokyo Station's direction. 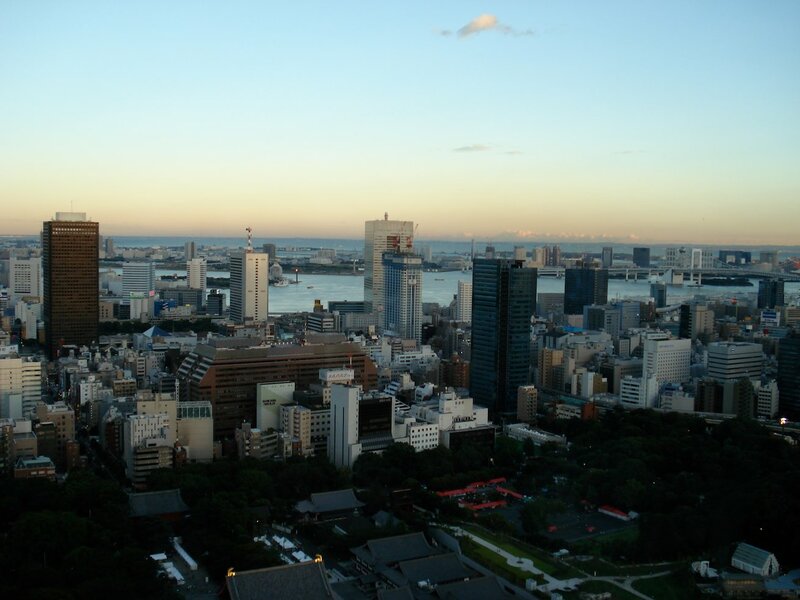 It is a worthwhile attraction to see, but, depending on your schedule, there may be closer, cheaper or better options if all you want to do is view Tokyo from above. The tower really starts to become a tourist trap after you've looked out from the main viewing deck. The extra charge to go up to the special platform uses an effective upsell strategy to fleece tourists of extra yen. 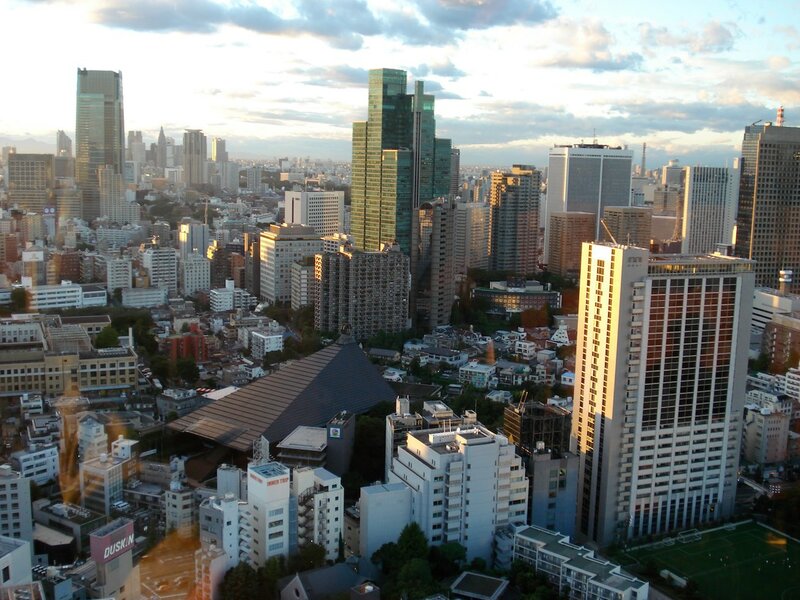 Guard your wallet unless your happiness is tied to how high you saw Tokyo from. The other attractions in the base building aren't a waste of time but they are certainly overpriced and not anything you'd fly halfway around the world to see. 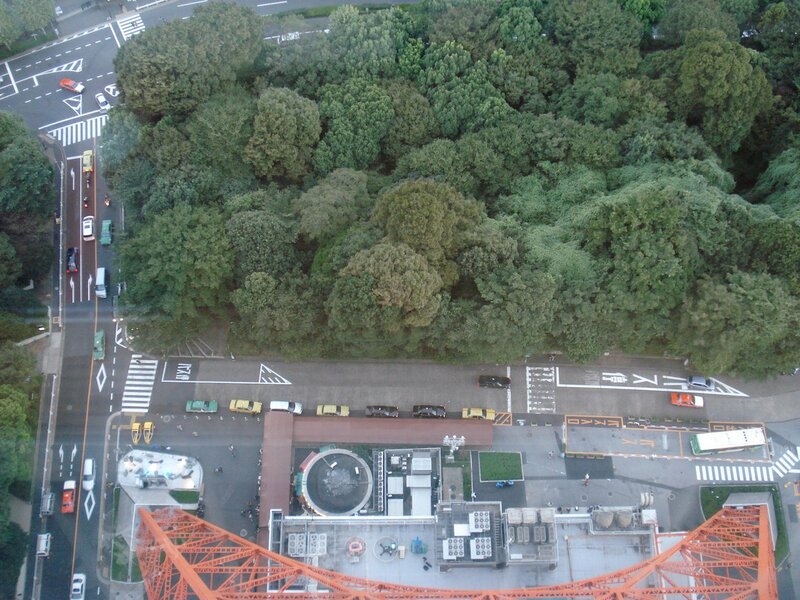 Tokyo Tower has an embarrassing number of subway lines that pass nearby but don't go to it. The legacy of being built where no large buildings would block its TV and radio signals has been to the bane of all tourists since. The closest ones are Onarimon Station on the Mita Line, Kamiyacho on the Hibiya Line and Akabanebashi Station on the O-Edo Line. The Mita Line is least likely to be of use if you're touring Tokyo. The Hibiya Line connects easily to the Ginza area and the O-Edo is most useful from the Shinjuku Area. All the close options aren't really that wonderful and waste your yen and time on transfers and finding stations. There are two much more easier and cheaper routes from the Asakusa Subway Line and the Yamanote. Just be prepared to walk for 15 minutes or so. The subway line connects to Tokyo Station, Ueno and Asakusa. Walking from JR Hamamatsucho Station at Ginza is probably the cheapest and simplist route from most places in Tokyo because it is on the Yamanote Line. 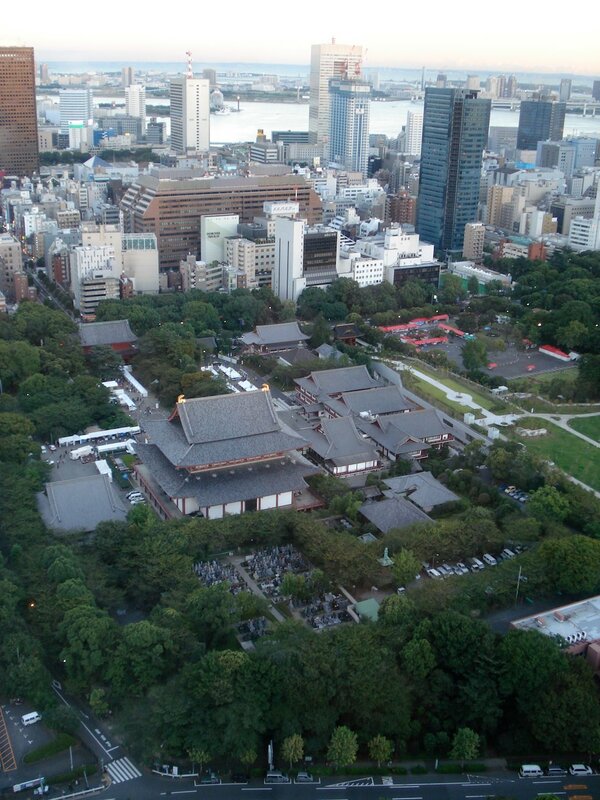 It and the subway line do require walking a fair distance, but you'll pass through Shiba Park (芝公園) and by Zojoji Temple which are worth a look anyway. 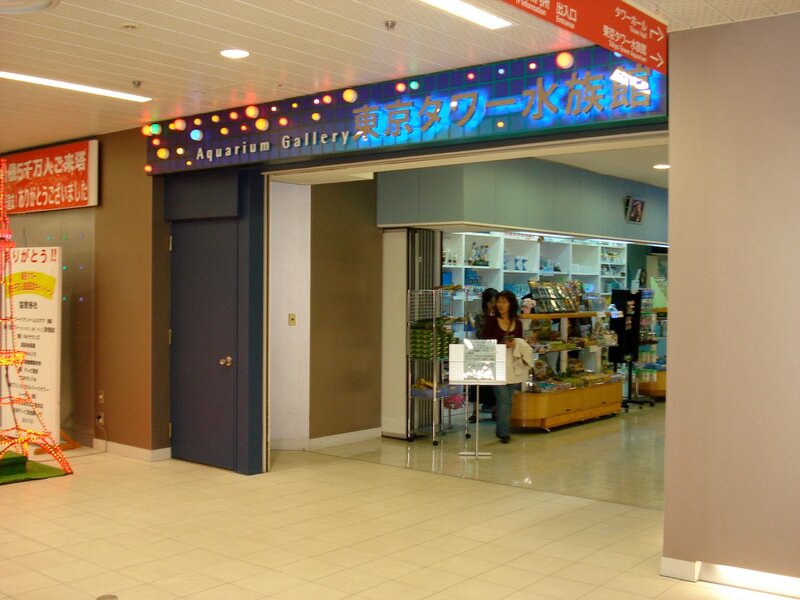 Tickets for the main observation floors are purchased at ticket windows on the first floor. 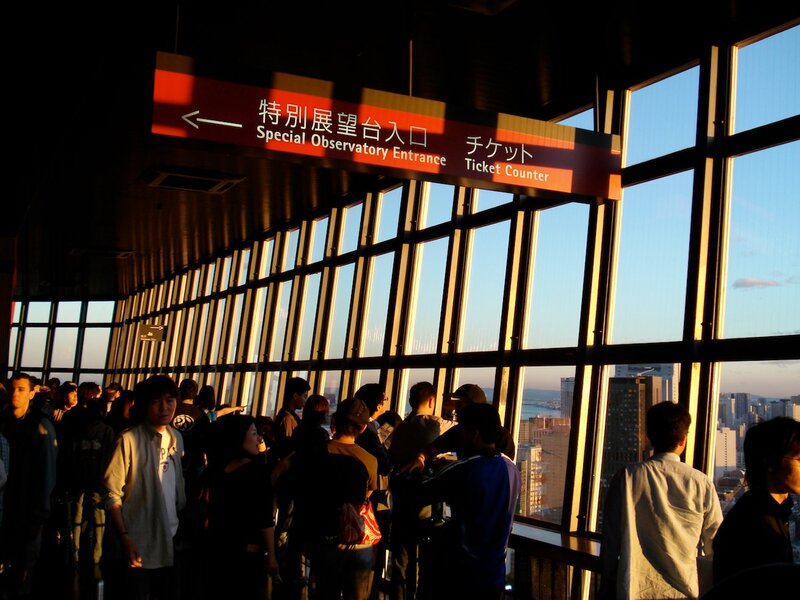 Tickets to go to the special observation deck at 250 meters are purchased separately after you ride up.